Hi everyone, I know I have been really terrible about keeping up with my posting. Work has been really busy and so is life in general. The weather also have been warm (duh, it's SUMMER) and all one wants to do is relax with a cold drink and wearing casual comfy things. Ok, I know these are such bad excuses, but honestly I have just been busy and occupied! Found these cute duckies with their mummy in the park! Look how "proud" she looks! So nice that you have met Helen through Instagram and that you send these packages to one another. I would have loved to see the cookies! 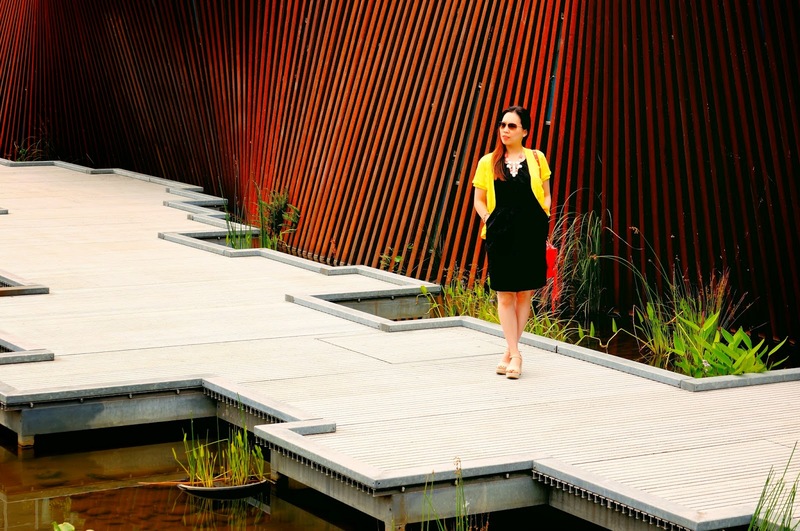 Love your outfit, yellow and black always look great together! Wishing you a nice week, hopefully you will find time to relax a bit. Thanks so much!! ❤️ I hope you have had a wonderful weekend as well! Your necklace is really beautiful!! Hi dear!! 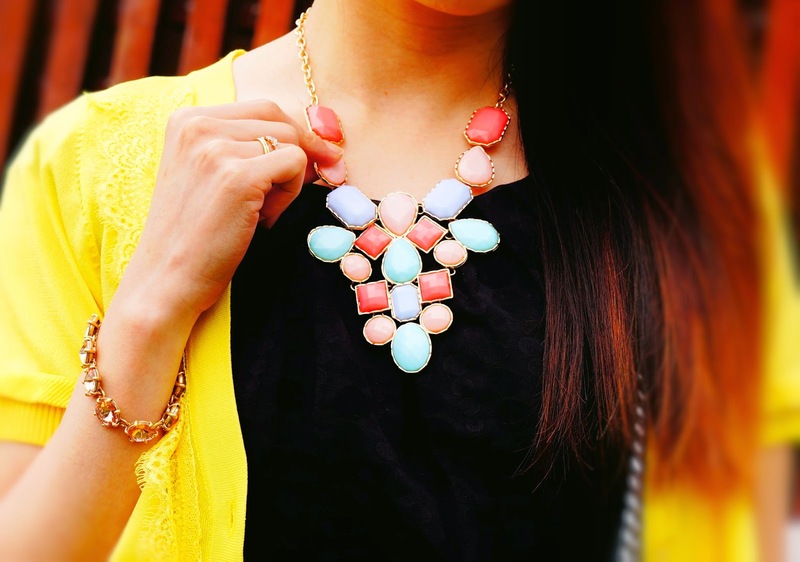 Love your necklace and these bright colors! 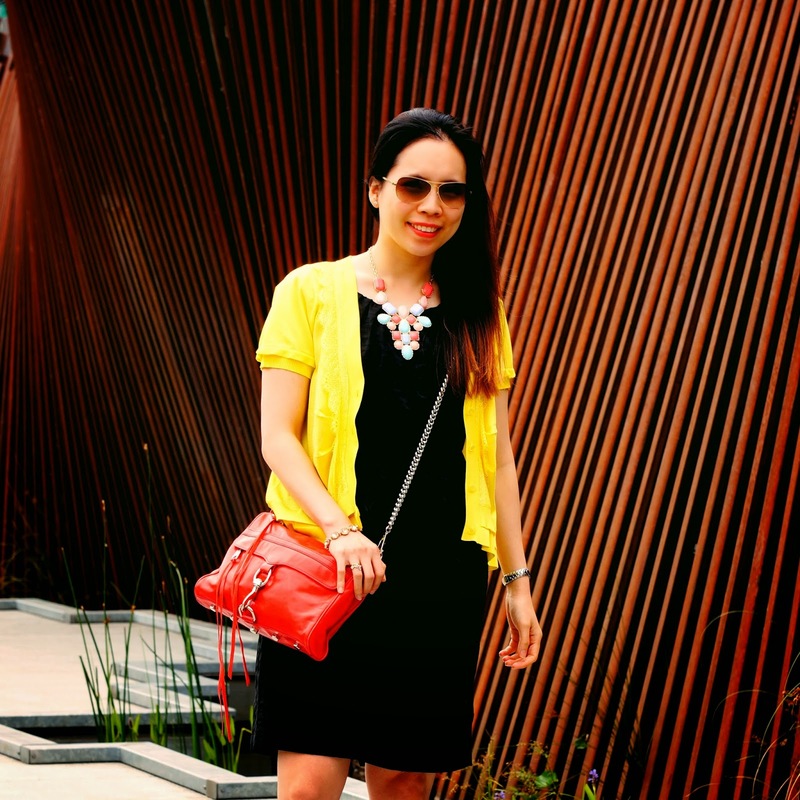 LOVE your yellow blazer! AND gorgeous candy coloured necklace! Such cute ducks too! Such a cute story to read! So sweet of each other to send it. You look amazing, like always! Beautiful necklace and I love your cardigan, you look great!